Blog - P.O.P. 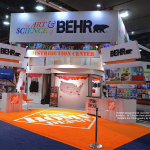 Exhibits Inc.
What do you do if your trade show display hasn’t yet reached its expiration date, but your marketing goals, colors and branding are ready for a change? 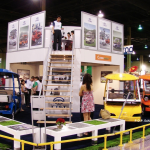 There are a lot of cost-effective ways you can repurpose your existing trade show display without tossing it completely. 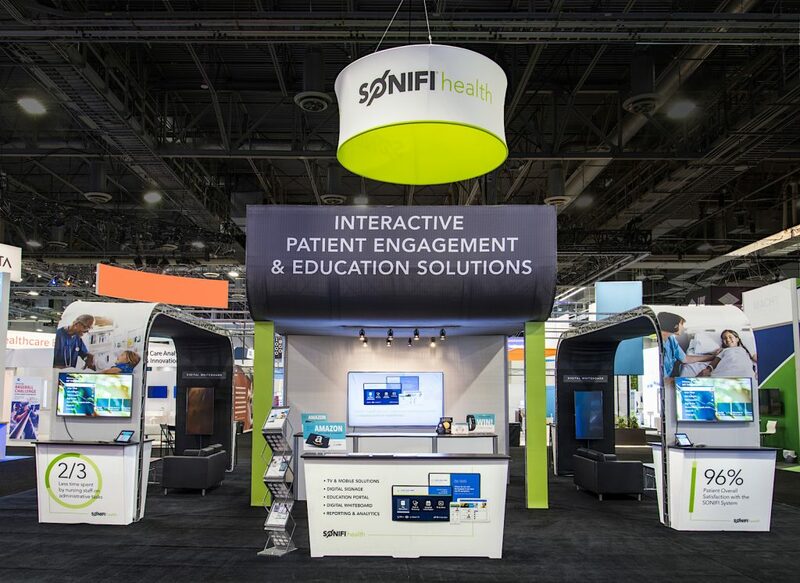 Adding some color changing lights, light boxes and creative product lighting can transform your exhibit quickly and on a budget. New lighting options are constantly being introduced, so keep your eye out for the latest trends. Color programing capabilities are becoming more and more sophisticated as lighting tech advances. 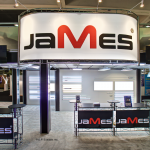 Adding a simple color changing strip light behind a monitor or workstation can go a long way in modernizing the look of your exhibit. 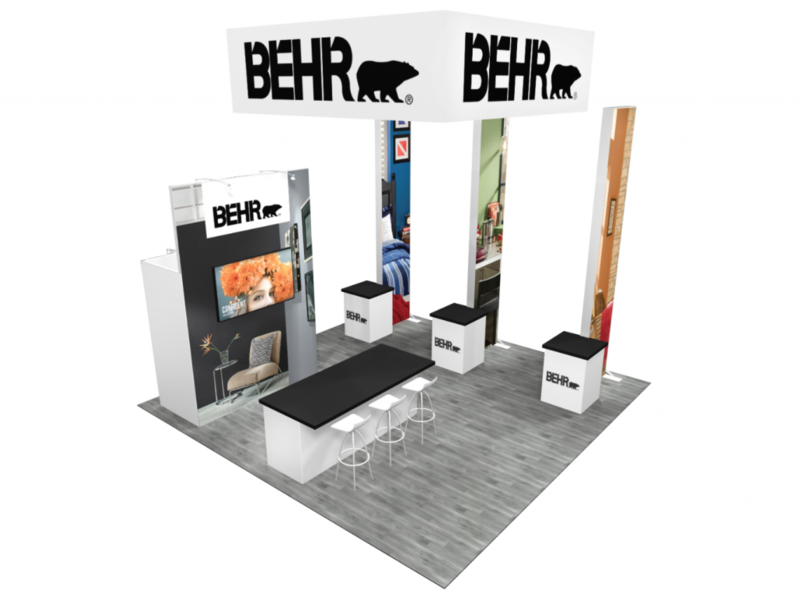 Updating your graphics is by far the easiest way to dramatically change the look of your booth. Some of our clients change their graphics for every show to as their message/look evolves. Depending on the amount of graphics on your existing booth, this may or may not be cheap, but you don’t have to replace everything. It’ll definitely be cheaper than replacing hardware, however! In order to guarantee your new graphics work on your booth, it’s best to order replacement graphics through your original exhibit company. 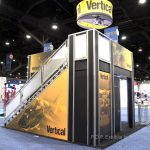 Adding an overhead hanging sign is an easy way to grab more attention without changing your booth at all. Many shapes and sizes are available. Motion and lighting can also be added for some extra flair. 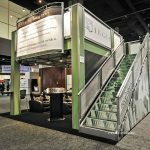 Changing the style or color of your flooring can make a dramatic visual change in your booth. We’ve been seeing a lot more clients opt for mock-wood vinyl flooring lately. We offer vinyl flooring for our rental exhibits in a variety of shades. This is a great option if your footprint changes from show to show. 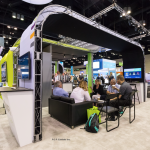 You can use your existing booth as the “core” of your display then fill out the space with some additional components. Adding in things like workstations, charging counters, and additional seating work well. See if the existing physical layout of your display can be altered using the same parts. This will change your booths appearance and functionality without needing to start over completely. Flip through some magazines and see what’s popular currently. Rental furnishings are constantly getting new inventory as trends change. If you own outdated furniture, it might be time to toss it and switch to renting. That way you can relatively inexpensively update your look from show to show. Vinyl Flooring, bold overhead sign and backless stools help give this island a modern feel. 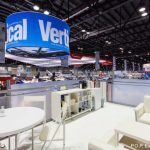 Though sometimes seen as a dying industry, trade shows in reality are as popular as ever. Furthermore, they have the potential to be more valuable than online marketing… if you know what you’re doing. 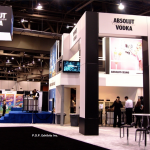 Below are just a few of the benefits of trade shows that online marketing can’t provide. 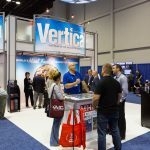 Over 90% of trade show attendees are there to learn about new services and products in your companies industry. Those of us who’ve done online marketing know that lead quality MATTERS, and the leads acquired at trade shows are on average more valuable. In a world being taken over by the internet and social media, sometimes we forget the value of face-to-face marketing. The connection you can make with someone in person far exceeds any made by email and phone calls. Personal connection is important and that won’t change anytime soon. When you attend your industries trade show, everything is concentrated in that location. No matter your goals there will be something of value for you to gain from attending. Whether it’s access to prospective clients, industry announcements, or news of upcoming trends, there’s something in it for even small companies just starting out. But if it’s your first show, how will you stand out? Firstly, do some research before the show. Figure out what your core audience will be, what the competition will look like, and what type of attendees to expect. You’ll be better able to target your marketing efforts if you know your audience well. Network and utilize social media before the show. Leading up to the event spend some time talking to people in your industry and don’t forget to followup when the show is over. Pick up your social media activity before the event. Create some hype around a new announcement, product launch, or special opportunity happening at the trade show. Make sure to include your booth number in your posts along with the times any special giveaways will be happening. Choose good signage. Choose colors and fonts that match your brand but will also stand out. You’ll be competing with hundreds of competitors and don’t want your brand to get lost! If you’re in an island space consider adding an overhead hanging sign. 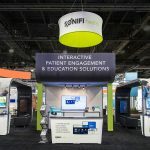 You want your attendees to be able to find you easily as navigating large shows can be daunting. Make sure you’re as easy to spot as possible! Consider a giveaway. Giveaways are a must at marketing events. They naturally attract people walking by who may not otherwise stop at your booth and attract buzz throughout the show. The giveaway you choose will largely depend on your budget. The key is to find something original that people actually want or need. You can either find a unique promotional product to brand and plan to give away a LOT of them, or spend your giveaway budget on a nicer item and have visitors enter to win. 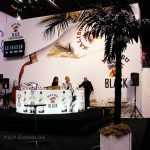 The right giveaway has the potential to create a ton of buzz around your booth, so give it some thought and promote it!